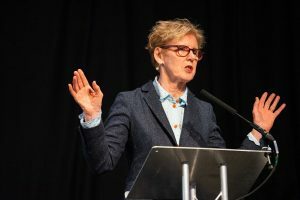 Aggressive marketing by dealers and a change in attitudes towards the drug were among the reasons for increasing levels of crack cocaine use in England, according to a new investigative report from Public Health England (PHE) and the Home Office. Crack has become increasingly available and affordable in recent years, following a surge in cocaine production since 2013. Dealers were also selling the drug in smaller quantities, says the document, as well as offering free samples with their heroin or ‘three-for-two’-type deals, something particularly common with dealers aiming to infiltrate new markets and build a customer base. Attitudes to crack were also changing, however. Many service users, treatment professionals and police officers interviewed for the report thought that ‘the stigma of using crack had declined in recent years’. 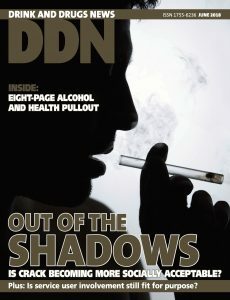 Last year Kevin Flemen warned in a DDN cover story (right) that ‘the stigma-driven barriers between powder cocaine and crack may be breaking down’ (DDN, June 2018, page 6). The report, which focuses on six areas in England, found that while the majority of people using crack were ‘observed to be existing heroin users’, some dealers were also ‘opening up new markets’ of younger, first-time users who were not using heroin or engaged with treatment services. There was ‘clear evidence’ of county lines activity, although this varied from area to area, with county lines groups much more likely to engage in serious violence and ‘exploit vulnerable young people and drug users’. A ‘reduced focus’ on drug dealing by the police – and fewer police on the streets – were also thought to be contributory factors, with less capacity to target dealers or people carrying drugs. The document is published at the same time as a report from Liverpool John Moores University which found that the estimated number of people in England using opiates and/or crack had increased by 4.4 per cent between 2014-15 and 2016-17, an increase that was ‘statistically significant’. Most crack users in treatment, however, were there ‘because they’re using heroin as well, and it’s the heroin problem that brought them in’, says PHE, which meant that local treatment systems had to respond to increasing levels of unmet need.